A piece of art can be very beautiful and have a great deal of value and sentiment but without proper installation the piece could face risk of damage. Often there are applications where professional installation is required due to the weight or location of a piece, complexity of a multiple piece arrangement, or precise space constraints. At Four Corners Gallery we are experienced designers and artisans and are especially sensitive to the aesthetic and practical considerations involved in art installation. We have the know-how to best present one piece, wall groupings and entire rooms. 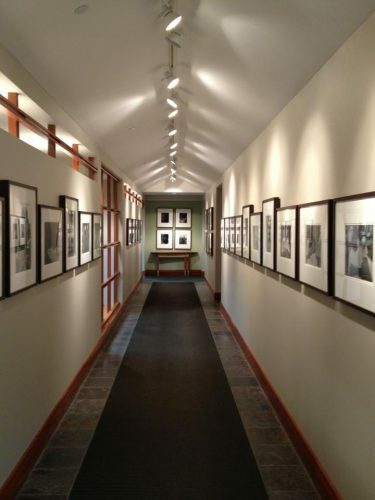 Our professionals will view your space, listen to your vision, and develop a plan that takes advantage of the environment and highlights the featured art. Below are some photos of a truly custom frame job and its installation in a client’s home. The Gates of Paradise in Florence, Italy. 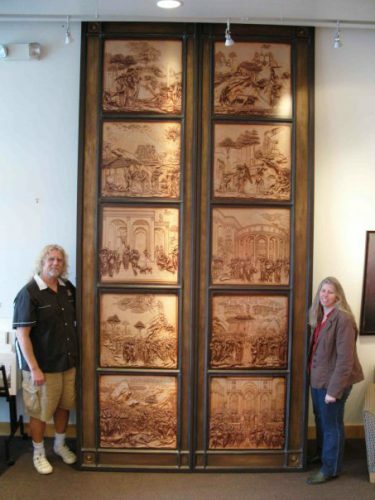 As you can see, the custom-built frame was quite tall, over 12 feet to be exact, and not to mention quite heavy. We were able to mount our client’s investment very securely to the brick wall, fulfilling his vision of a showstopping piece of art. 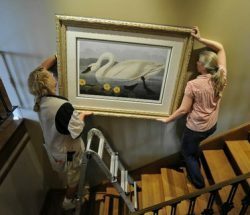 Our designers and installers can come to your home or office to arrange and hang your artwork and personal treasures. Our experienced staff is sensitive to the aesthetic and practical considerations involved in art installations. We have the know-how to best present a single piece, wall groupings, and entire rooms. We will view your space, listen to your vision, and develop a plan that takes advantage of the environment and highlights the featured art. Below is a small sampling of our work. For a quote, please contact us to provide details of your installation. 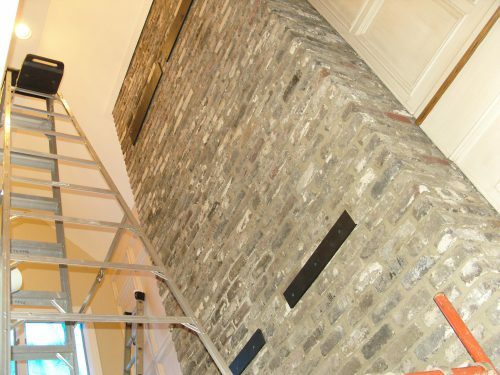 Stairwells and heavy pieces can be tricky and are best left to professionals. Group family photos, heirlooms, and whimsical art pieces into a beautiful gallery wall. 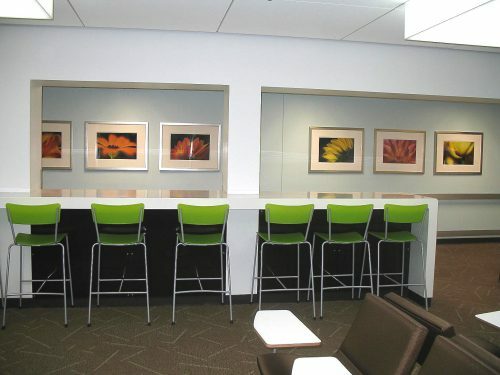 This entry was posted in Installation services and tagged art installation, custom framing.